Fleas, Flies and Ticks, Oh My! It’s that time of year again! Fleas, flies, and ticks, oh my! We could also include mosquitoes, no-see-ums, and gnats in this category of annoying insects that can wreak havoc on summer fun for us and our pets. Every year at The Pet Beastro I hear the infamous saying, “I’ve heard (insert any of the above mentioned) are just so terrible this year!” And in reality, every year they do seem to be getting worse and invading our backyard when they weren't an issue before. There really isn’t a clear cut answer as to why the insect/pesky pest population has exploded, but what is clear is that our use of pesticides and insecticides has skyrocketed. The higher our use of chemicals, the more these critters morph to continue their life cycle. In the meantime we are slowly destroying and disintegrating our pet’s immune system, nervous system, and ability to ward off these pests with a healthy, natural body. How Do "Flea Killers" Work? Now that we have a better understanding of the chemical compounds in pharmaceutical flea and tick killers, let’s have a look at a few natural options. One of our favorites at The Pet Beastro is Earth Animal Internal Flea & Tick Program. These blends are made of all natural ingredients that we find in our herbal environment or as food sources. The ingredients are not made in a laboratory. The combination of herbs for the Yeast-Free Flea & Tick Internal Powder is comprised of alfalfa, garlic, spirulina, kelp, papaya, neem, nettles, and hawthorn. This formula is safe for both cats and dogs and easy to add to their daily meals. If you are making a trip up north and feel that extra protection is needed, no worries. We also carry sprays and shampoos that are safe for the entire family to use! Let’s dive a bit further into the herbs used in this one particular formula. Alfalfa is just a great overall herb that is chock-full of trace vitamins and minerals. If you have used Frontline in the past, alfalfa and nettle will be a nice relief to the body so it can rebuild those very important nutrients that may have been stripped by the chemicals. Next in the formula is garlic. Another awesome herb that is used to build the immune system as well as rid the body of internal parasites. 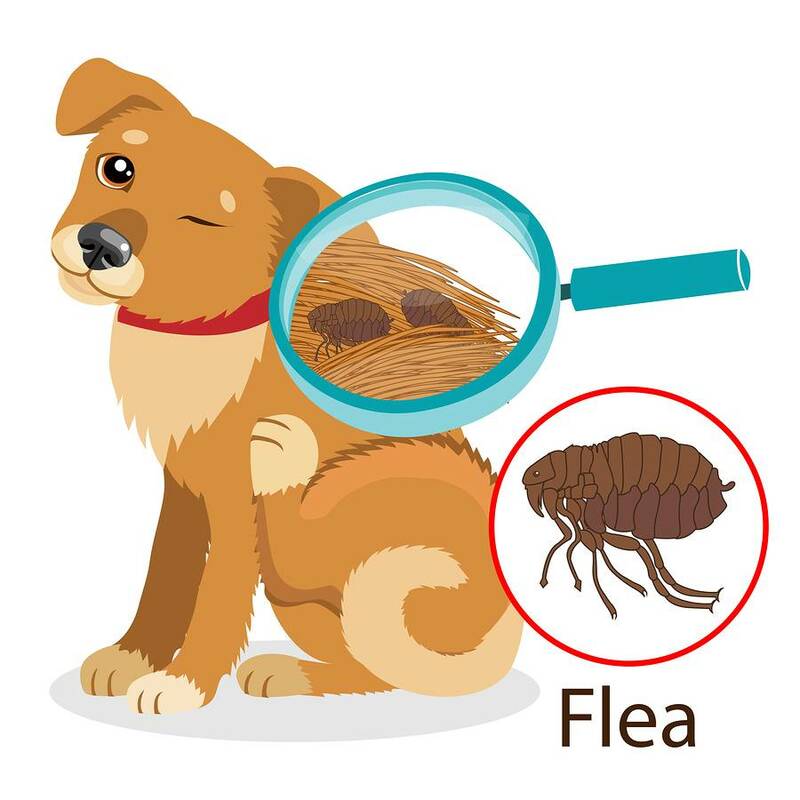 Many times fleas are often associated with tapeworms which like to wreak havoc in the intestines, making it difficult for your cat or dog to absorb nutrients as intended by the intestinal tract. Neem is most often used internally to repel fleas externally as well as boost the immune system and support a healthy digestive tract. Hawthorn is often used for its heart-strengthening and antioxidant properties, and papaya is used to improve digestion, boost the immune system, improve energy, and aid in skin conditions. I think the natural options are hands down the best route with your cat or dog. You aren’t applying a chemical that could have the potential of breaking down their nervous system. Rather, you are giving them herbs to prevent fleas and ticks with the helpful addition of building minerals, ridding intestinal parasites, AND boosting the immune system. Sounds like a win-win to me!